One of the hundreds of photos I sorted through this week. Gentle Reader, this week my hobby of writing columns was not easy. 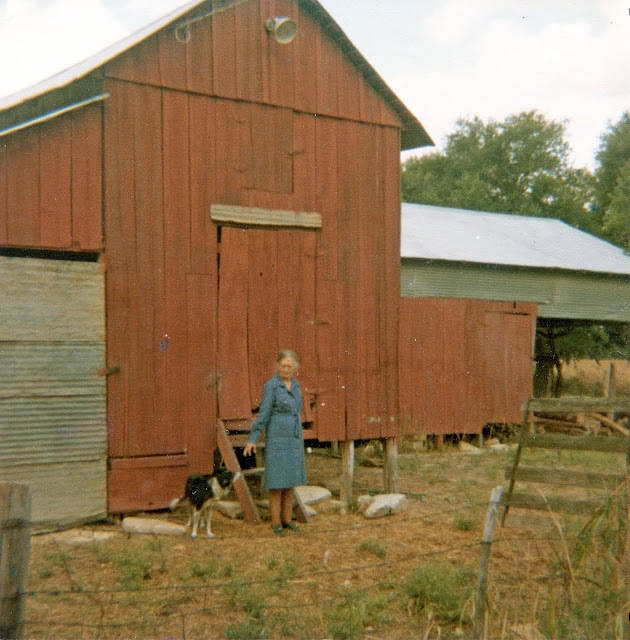 I love old photographs, and I’ve collected thousands of historical photographs of Kerrville and Kerr County, thanks to the generosity of hundreds of people. I truly enjoy seeing images of our community’s past — especially images I know no one alive today has ever seen, images few would recognize. But sometimes, like this week, I get a box of photographs that are hard to go through. This week I felt as if I was walking through someone’s house without permission, stopping to look through closets, checking the desk drawers. The box was a jumble of family photographs, not arranged in any sequence. There was not a lid on the box, and it was so full some of the photographs might have spilled out before coming to me. The photos showed several generations of a local family, a collection of images taken at birthday parties, on vacations, at family gatherings. They were fragments of a timeline, like a cluttered mosaic made with a few random tiles. Today it’s common for people to portray themselves on social media in edited, curated photographs that have little to do with reality. Those photos are posed, run through a filter, and posted for the world to see. The blemishes have been erased and the rough edges sanded away. Not so with the photographs I sorted through this week: these were unguarded. They were not posed. They were not filtered. The photographs I looked through this week were not, for the most part, portraits. They were snapshots meant only to harken back to family events. They were not artistic, and most were not taken with good cameras. Many were out of focus. In most of the images at least one person has their eyes closed. The light was wrong. They were, in short, typical family photographs. Still none of this was a big problem for me. I’ve done this kind of thing a long time. I’ve seen inside a lot of closets and desk drawers, and I’ve seen thousands and thousands of candid photographs. I’ve read personal letters and diaries. I know a secret or two. One of the problems for me with this particular box of photographs was this: I knew a lot of the folks in the photographs. I knew many of their stories. I remembered visiting with them when they were alive. I had memories of time spent with them. One person in the photographs did me a big favor years ago, giving me a chance I probably didn’t deserve. His kind gesture changed my life. Within a few seconds of going through the jumble I knew exactly who had collected and saved these old photographs. I remembered the last time I’d seen her, just a few weeks before she died, in one of the crowded aisles at H-E-B. Now, through an accidental encounter, I was going through her family photos, photos she kept, photos her mother had kept. More than a hundred years of photographs. Unlike when she had them, though, they were now thrown in a beat up box. They were like a song played in several keys at once, and it was difficult to sort the differences one from the other. The part that made me sad was how carefully she had labeled the photos so her family would know who was in each photo. The labels she wrote were not for us, Gentle Reader. Among the hundreds of photographs are a few which have some local historical significance. I put those aside. The rest I boxed up, carefully sealing them, labeling the box, and placing it among the many other similar boxes I have stored in our family’s print shop. It remains my hope these photos from many families will be used to illustrate the story of our community, perhaps in a museum. It remains a good story, even when parts are hard for me to work through. Joe Herring Jr. is a Kerrville native who remembers the first historical Kerrville photograph he contact-printed in the print shop darkroom; the negative was a glass plate. It was of a young girl and her doll, sitting in the grass of her family’s yard on Jefferson Street, taken around 1905. The site is now a parking lot. This column originally appeared in the Kerrville Daily Times September 22, 2018. Joe - a very interesting post and I fully understand your sentiment regarding old family photos, especially since you knew some of the people. Your words "They were like a song played in several keys at once..." are a strong descriptive analogy of the chaos that was given to you compared to the order and careful labeling she had done.